Women's work is crucial to the survival of poor households and an important route through which families escape poverty. When women earn an income, they are more likely than men to spend it on food, education and heath care for their children and families. And research shows that women's access to employment can be empowering: it boosts women's self-esteem and bargaining power within the household, gives them more mobility and exposes them to new ideas and knowledge. Despite these potential benefits, women's status in the labor market is significantly inferior to that of men. Women tend to be concentrated in the informal economy, working as day laborers on farms or construction sites, domestic servants or petty traders. Such informal sector jobs can make up more than half of the labor market in developing and emerging economies. These jobs often are characterized by lower pay, less security and poor working conditions with few opportunities to advance. Where weak job markets and other barriers limit women from accessing formal employment, women support themselves primarily through small business enterprises. But women's enterprises face multiple challenges. Women have limited access to credit and markets. They often lack education and other life skills, such as money management and negotiation. And they rarely have training opportunities for management, basic book-keeping and accounting etc. We generally strengthen the capabilities of organizations to understand and respond to the unique needs of women and men with gender strategies that work. Organizing women in small groups in the form of SHG (Self Help Groups), CIG (common interest groups) in various sectors. Training and capacity building to understand team work. Capacity building of women for accessing and understanding the importance of book keeping, monthly meeting and general life skills. 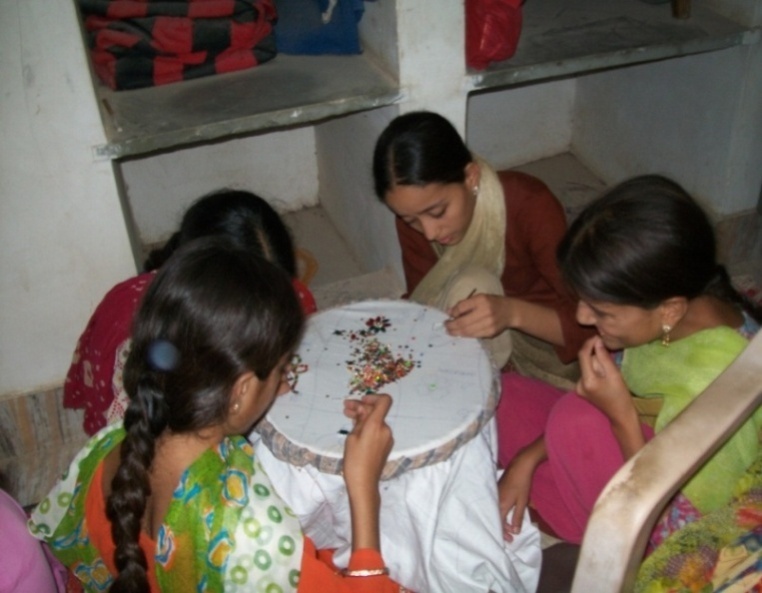 Enhancing skill and knowledge of SHG'S member through training and workshop. Converting SHG into FEDERATION to enhance the ability and deliver effective programs and services.